From Tokyo, Paris, London, Sydney, and Rome . . . Adventure, mystery, and inspiration lie behind every door, waiting to be discovered. Divine Doors is a 40-card companion deck that reveals answers to your deepest reflections and inspired musings. 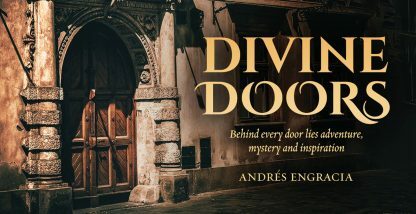 With real-life photography of unique doors from across the globe, you will discover a new way to see the world, tap into your intuitive spirit, and unlock the creative force within.